After the last post I needed to step away from the computer for an hour or so. I spent 45 minutes in the shop, hollowing out a bowl on the lathe. 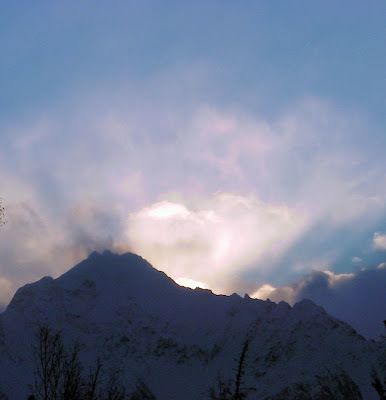 Afterward I stepped outside to finish my coffee and saw the sun coming up over the mountains. This is what is looked like. And now that my blood is sufficiently settled, I'll get back to writing.